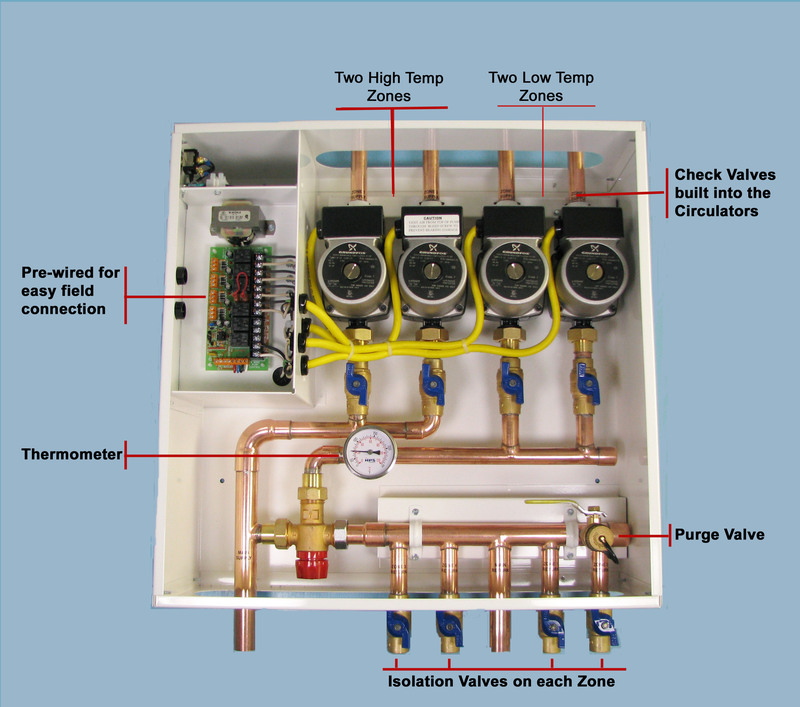 Hydronic Control Stations make installations of any hydronic system simple and easy! HPS Controls manufactures pre-assembled Hydronic Pump Stations providing zoning for Radiant Floor Systems, DHW Indirects, Fan Coils, Fin Tube Convectors and Panel Radiation. There are over 100 models of hydronic panels available offering High or Low Temp or a combination of both and 3-way mixing or variable speed injection with outdoor reset.They are designed as the secondary circuit to the primary boiler loop which are also available pre-assembled. Each unit also comes equipped with a circuit board making wiring simple. 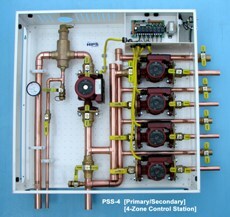 The flexibility of these Zone Stations allows for custom designs with larger pumps and headers. Now radiant heating does not have to be a puzzle. With radiant heating systems becoming the heating method of choice, efficient installation and cost effective know how is now even more imperative. To help you save time and money we have developed a panel system that will eliminate the guess work. With three styles to choose from, we have a fit for all your heating requirements. These combination panels have Hi and Low temperature zones. With that capability only one panel is required. High temperature - used for indirect hot water, fancoil, baseboard and hot tub.